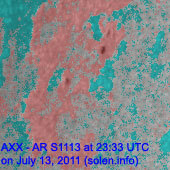 Last major update issued on July 14, 2011 at 05:15 UTC. 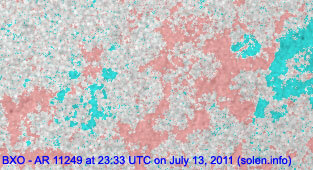 The geomagnetic field was quiet to unsettled on July 13. 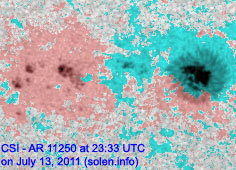 Solar wind speed ranged between 459 and 690 km/s under the influence of high speed streams from CH464 and CH465. 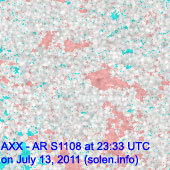 Solar flux measured at 20h UTC on 2.8 GHz was 94.6 (decreasing 8.7 over the last solar rotation). 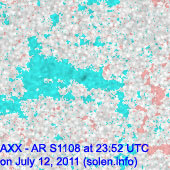 The planetary A index was 8 (STAR Ap - based on the mean of three hour interval ap indices: 8.3). 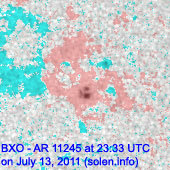 Three hour interval K indices: 32212232 (planetary), 33122122 (Boulder). 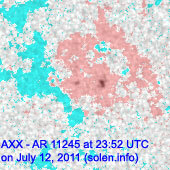 Region 11245 was quiet and stable. 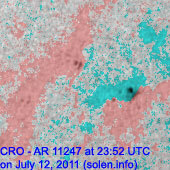 Region 11247 decayed and had a single tiny spot at the end of the UTC day. 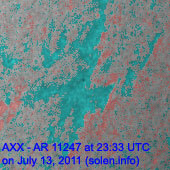 Region 11249 decayed slowly and quietly. 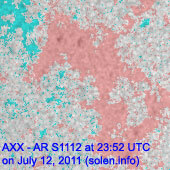 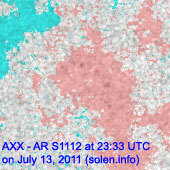 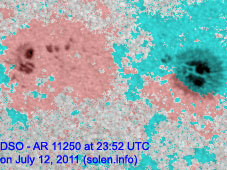 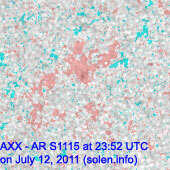 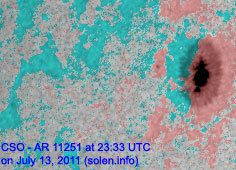 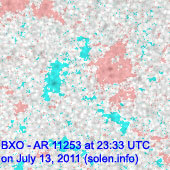 New region 11252 rotated into view at the northeast limb on July 12 and was numbered the next day by NOAA/SWPC. 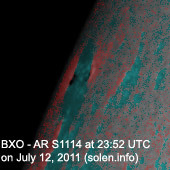 New region 11253 emerged in the northwest quadrant on July 13. 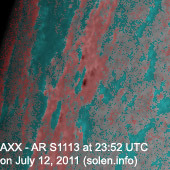 July 12-13: No obviously earth directed CMEs were observed. 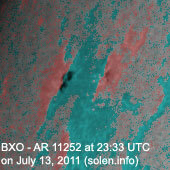 July 11: A small CME was observed after a C2.6 flare in region 11249. 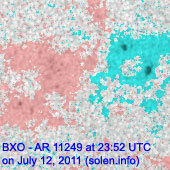 The CME could reach Earth late on July 13. 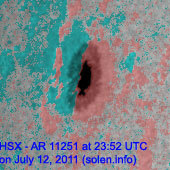 A trans equatorial coronal hole (CH465) was Earth facing on July 10-11. 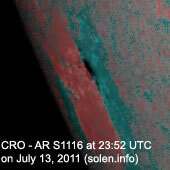 A large trans equatorial coronal hole (CH466) will likely become Earth facing on July 16-17. 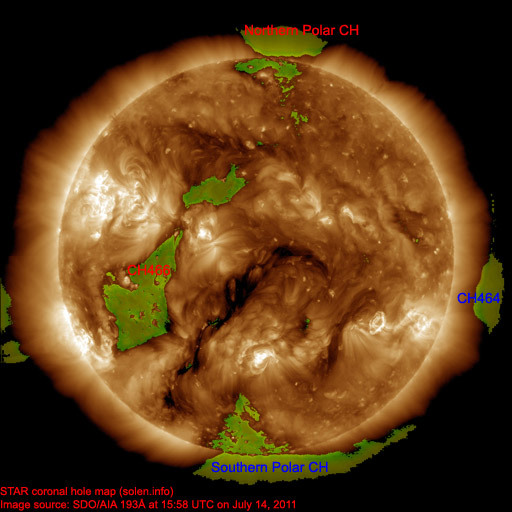 The geomagnetic field is expected to be quiet to active on July 14 due to a coronal hole stream and a possible CME impact. 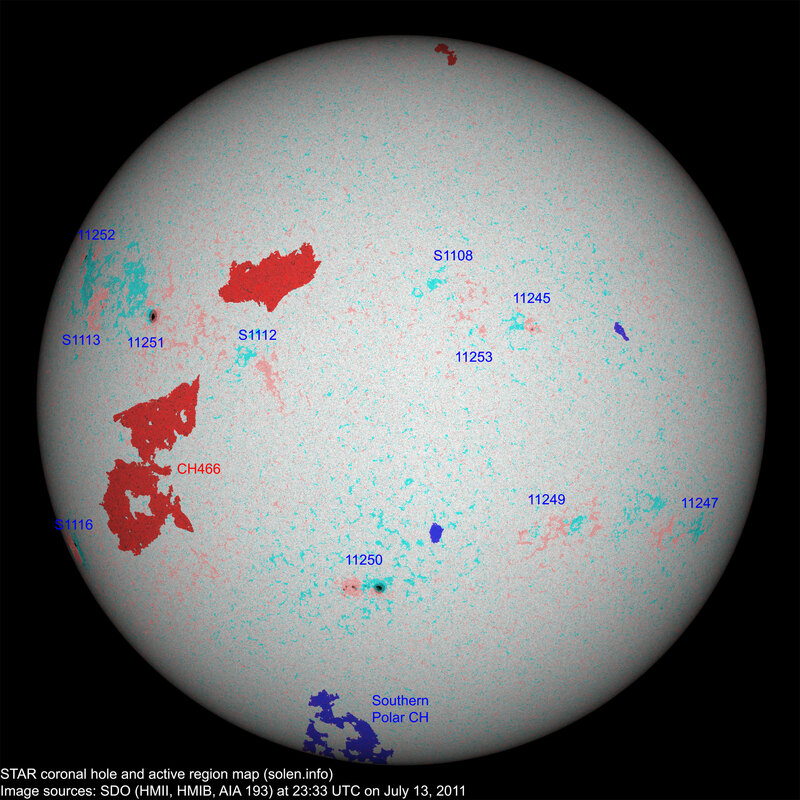 Quiet to unsettled is likely on July 15.